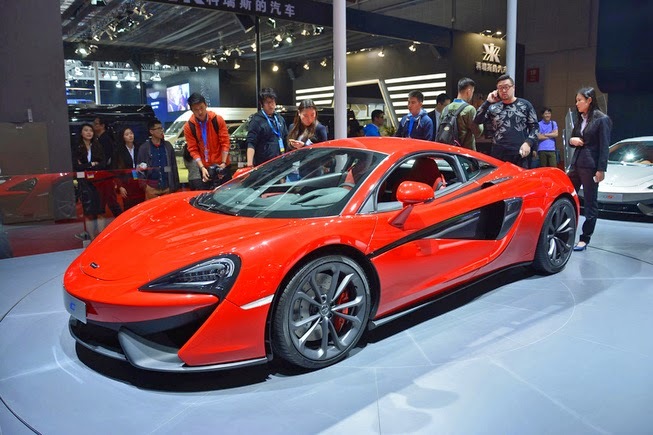 McLaren has introduced the latest Sports Series ie 'McLaren 540C Coupé' in Shanghai Motor Show which held on April 20 to 29, 2015. And McLaren said in a statement that the 540C Coupé will be sold at a price of £126 thousand and now can be ordered to be accepted in 2016. With the presence of 540C Coupé variant will add McLaren products other than the models of the Super Series and Ultimate Series. 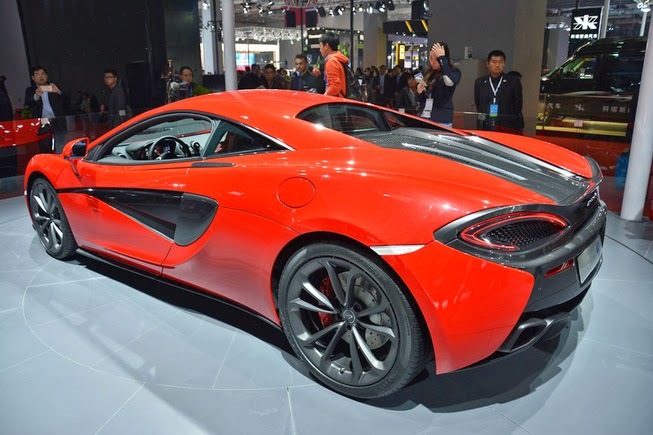 McLaren 540C Coupé uses a carbon fiber chassis and racing technology. 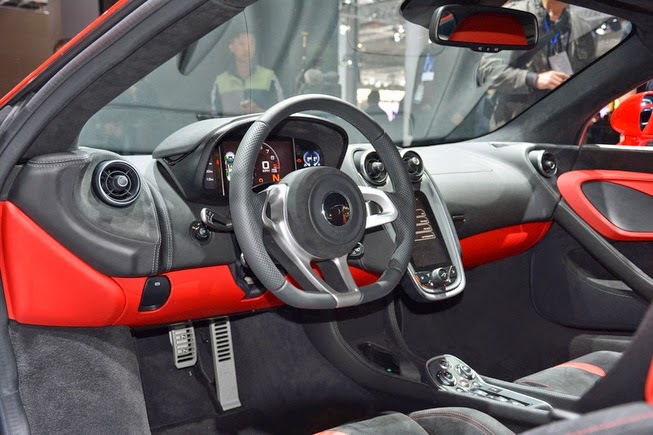 This car uses a twin-turbocharged V8 mid-mounted engine that has a capacity of 3.8-liter and can generate power of 540 PS at 7,500 rpm and torque of 540 Nm at 3,500 to 6,500 rpm. Then the power is channeled to the rear wheels by using a seven-speed seamless shift gearbox (SSG). To be able to accelerate from 0 to 100 kph only takes 3.5 seconds and has a top speed of 320 kph. This car uses a pair of rear wheels are 20-inch alloy wheels and the front uses 19 inches.